This commissioned piece was for a diving coach of mine. I was asked to creatively replicate two old photos of other diving students. This piece illustrates what happens underwater in order to achieve a good entry on the surface of the water. This was the second piece in commission for a diving coach of mine. 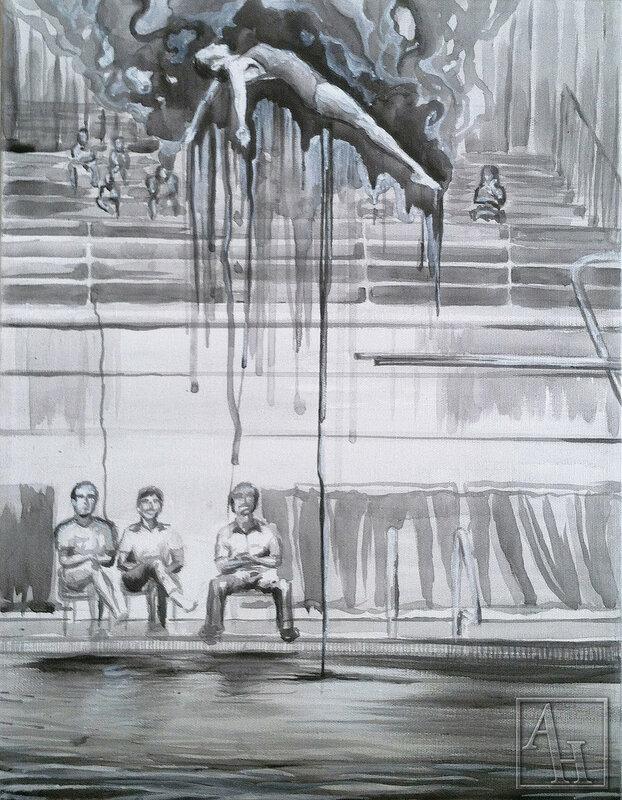 This piece shows the unseen adrenaline and energy a diver experiences when they execute a dive. This commissioned was for a mother and she wanted her children to be the focus of the piece. This work has the children emerged in a Colorado forest enjoying their childhood imaginations.